I've being seeing Dr. Achiron for 4 years now and service has always been great. I normally don't want long butit was very busy today. However it was still a good visit. The staff is friendly and they ensure you get full service. I've being seeing Dr. Achiron for 4 years now and service has always been great. I normally don't want long but it was very busy today. However it was still agood visit. The staff is friendly and they ensure you get full service. The first thing I look for is how clean the office is and how friendly the staff is. I've found bothexcellent. The first thing I look for is how clean the office is and how friendly the staff is. I've found both excellent. Dr. Achiron grew up in Brooklyn, New York where he attended the State University of New York @ Buffalo and received a Bachelors degree in Psychology. He attended the prestigious New England College of Optometry where he graduated with teaching and clinical honors. He completed a post graduate residency at the Health America Medical Center in Fort Lauderdale, Florida where he was asked to remain on faculty until he was recruited by Emory University School of Medicine in 1993. As an assistant professor in academic medicine, Dr. Achiron flourished, publishing over 25 papers and numerous book chapters while lecturing throughout the country. His ophthalmologic specialties in ocular disease, visual impairment and applied Physiologic Optics gave him national recognition while at Emory and earned him placement in the Who’s Who of Medicine. After teaching at an academic medical center for much of the 1990’s, Dr. Achiron took on the role of Center Director for Omni Eye Services, a multi-specialty ophthalmologic referral center specializing in LASIK eye surgery and Clear Corneal Cataract Surgery. Dr. Achiron has co-managed over 50,000 LASIK procedures. 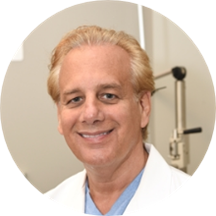 With his level of experience, Dr. Achiron has become world renown in the field of refractive surgery and along with his colleagues, recently submitted a research paper on LASIK and Mono vision in the Journal of Refractive Surgery, 2003. Dr. Achiron is board certified since 1993, and currently serves as adjunct clinical professor at Pacific University, University of St. Louis-Missouri, Pennsylvania College of Optometry and the New England College of Optometry where he enjoys teaching residents and performing vision research. He is a diplomate in the American Academy of Optometry, and a member of the Association for Vision and Research in Ophthalmology, Georgia Optometric Association, and the American Optometric Association. Dr. Achiron is an avid musician; he plays drums, vibes and percussion, and is a brown belt in Chong Nhu Karate. Dr. Achiron and staff are a pleasure. Highly recommend them ! He is a very personable and kind person. I was a new patient and would return. Visit was absolutely wonderful and seemingly easy for Doctor Achiron, but he was for some reason, late today.